On Sunday, 10 March 2019, the Governor of Hodeida Governorate Dr. Hassan Al-Tahir met with the General Manager of The Society for Humanitarian Solidarity (SHS) Mr. Nasser Salem Bajanoob in the presence of the Yemen Coordinator of the High Relief Committee, Mr. Jamal Balfakhi and Director General of Al Tuhayta District Mr. Ali Hassan. 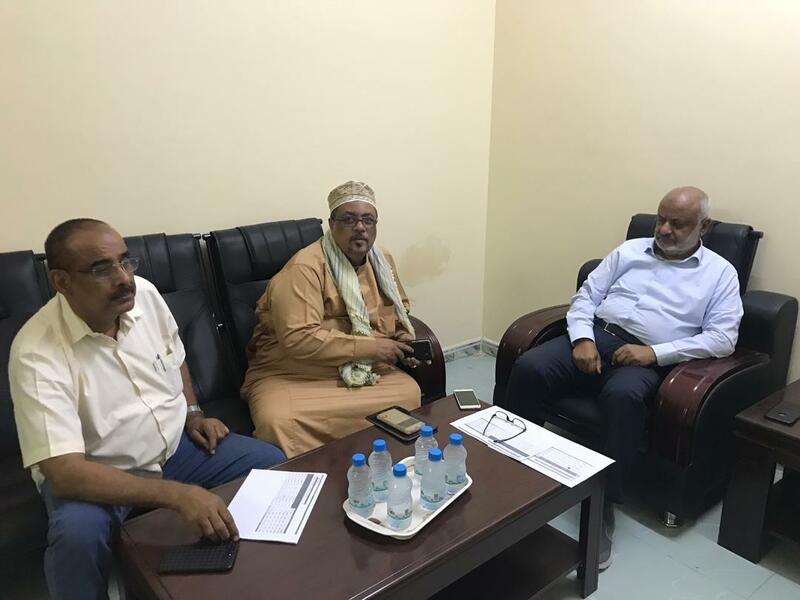 The meeting was dedicated to discuss the mechanism of SHS relief food distributions in Al Tuhayta district, Hodeida Governorate, funded by the World Food Programme (WFP). The Governor of Hodeida expressed his thanks and appreciation to the SHS and the World Food Programme (WFP) for their great efforts to alleviate the suffering of the IDPs and those in urgent need of Al Tuhayta District and surrounding areas and all the regions of the Republic. Indeed the Governor pledged full support to SHS in carrying out its humanitarian work and overcome any difficulties it may face. The General Manager of SHS briefed the Governor of Hodeida Governorate and the attendees of the meeting the overall activities of the SHS and its eagerness to deliver humanitarian assistance to those mostly in need according to the stipulated humanitarian targeting criteria. Explaining that the SHS is in the process of distributing month of March and April 2019 cycles to the number of 10,200 families in six centers in the District. The rations scale for each family stands as 150 kg of wheat flour and 20 kg lentils and 14.56 liters of oil and 5 kg of sugar and 1 kilo of salt.